The West Nile virus is among the most commonly spread infections in people passed through mosquito bites. In North America, occurrences of West Nile virus (WNV) is primarily observed during summer through fall. In southern climates that experience milder temperatures, West Nile virus can be spread year-round. Also, cases of WNV have been reported throughout the central United States. How do people acquire West Nile virus (WNV) infection? The majority of West Nile virus infections occur during hot weather conditions when mosquitos are most active. The infection is passed on to the mosquitoes when they feed on infected birds. Usually, West Nile virus gets transmitted to humans and animals through infected mosquitoes. You can’t acquire it from chance interaction with an infected person or animal. Few, extremely rare cases of West Nile virus have been reported to transmit through other channels, including organ replacement, blood transfusion, mother to infant during pregnancy or breastfeeding, and virus exposure in a lab. 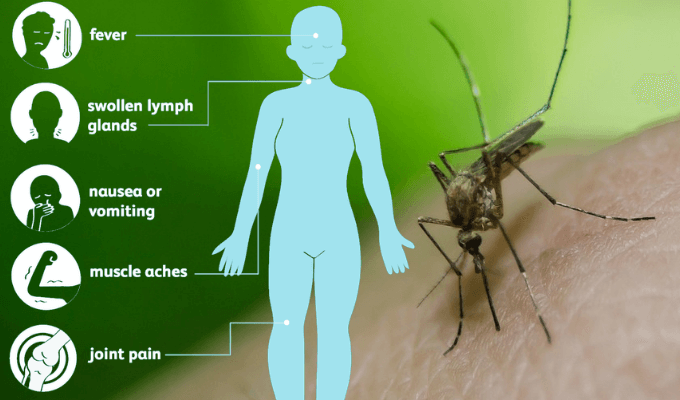 What are the signs & symptoms of West Nile virus infection? Who is at risk of acquiring West Nile virus infection? People who generally stay outdoors for long durations are at maximum risk of infection. The mosquitoes that spread West Nile virus are predominantly active at dawn and dusk, so remaining outdoors during those periods elevates the risk of infection. People aged 50 and above are more prone to develop the West Nile disease symptoms, but it’s not evident whether they are especially susceptible to infection. Infants and pregnant women are not at greater risk of West Nile virus infection. What are the risks involved with West Nile virus infection? How do health care providers detect the West Nile virus infection? Health care providers will send your blood sample for lab tests if you are suspected to have a West Nile virus infection. What is the required treatment for West Nile virus? There is no definite treatment for WNV disease; however clinical management is supportive. Mild signs of West Nile fever typically resolve on their own. For acute infection, symptoms can include severe headaches, a stiff neck, bafflement or confusion that can be treated by seeking prompt medical attention. Usually, a severe infection requires hospitalization.